You just left the airport in a beautiful rental car a few minutes ago. This car is a shiny Kia with airconditioning and large wheels that seem to lift the car up more. Your family will be traveling in style here and they will also be very comfortable. One of our favorite things about booking a car rental from Gold Coast rental company’s is that you have the freedom to go wherever you like. You can take your family on long trips to see the beautiful Australian land and enjoy the company of each other as well. Ask your family where they want to go. 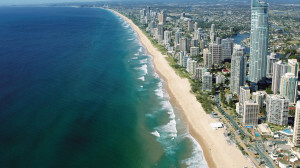 If they say to the beach then you can always go to Surfers Paradise. This lovely place has everything you really need. They offer surfing lessons and even scuba diving. Being able to swim beneath the sea is a captivating experience that one will never forget. Under the sea, you will encounter schools of fish, dolphins and even see some star fishes. You’ll run into some of the most beautiful and interesting mammals on the planet. Be sure to bring your underwater camera! This entry was posted in Brisbane, Gold Coast on May 24, 2013 by admin. This national park is featured all around the world and in some of the most famous magazines. They even refer to it as being in the heart of Australia. This is a very popular landmark in Australia and those who grew up there know it well. Once you set foot onto the park, you’ll feel the calm ancient spirit join you. This place has been around for hundreds of years and they consider it a sacred site. Many tourists comb the area each day to learn about it’s history. 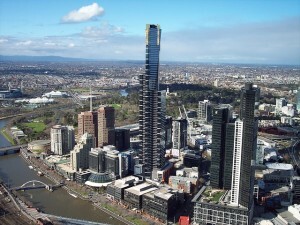 Melbourne is the 2nd largest city in Australia and some people even look at it as a cultural capital. This city has a bit of everything in it like shopping malls, botiques, restaurants, and even sport centers. It also has garden areas scattered throughout the city so if you want to escape to a garden area to relax, this would be a great spot. Tasmnia is located within the reserves and also the national parks. Here is where you will see many forms of wild life and plenty of foliage. If you want to enjoy nature for what it is, stop here to enjoy a picnic with the family. 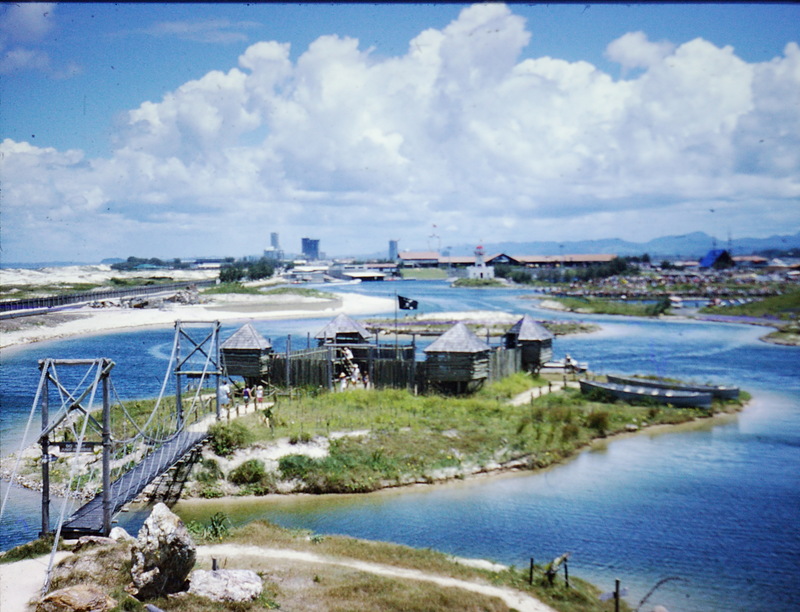 You can even go bird watching or walk along the river bank. With incredibly clear water, this would be the perfect area to swim so be sure to bring a bathing suit and hop in! Sydney is the biggest city in Australia and once you feast your eyes on the city, you’ll know there are tons of activities to enjoy. You can go to the Sydney Opera House which is considered one of the most elegant places inside the city once you go inside. Even on the outside, it looks like a masterpiece with half shaped circular designs around the exterior of the Opera House. This entry was posted in Brisbane, Gold Coast on May 21, 2013 by admin. 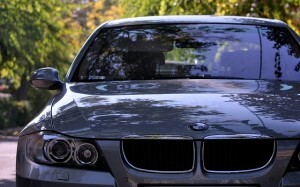 You have a beautiful 2008 BMW 328 that you just received from the rental company. In fact, you are driving this beauty right as we speak. There are a few things you are concerned about though since you are driving in an unfamiliar territory in the vast land of Australia. While you don’t have to worry about hitting any Kangaroos that hop along the road, what you do need to concentrate on is the overall state of the car. Treating your car as your own really isn’t an option. You need to treat it better than that because since the car is not yours, you will be liable for any damage. By any damage, we mean even a scratch. It is easy for anything to happen to the car and you could be driving on the road while some overgrown trees can scratch the car with their branches. Considering car rentals at the gold coast airport for example, you can see it is easy for the vehicle to become damaged and this is why you need to be careful. There are a few tips we have for you so you can bring back your vehicle in pristine condition just like the way you first got it at the rental company. First of all, you should always drive slow on the road. This will decrease your chances of getting into an accident although you shouldn’t drive too slow. The reason for this is because you will be able to register everything that is going on around you before you get into an accident. 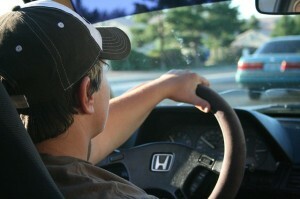 At high speeds, you won’t have enough time to think of what to do before the accident happens. Also, if you are going by some foliage that could scratch the car or something on the road that could damage it, all you need to do is go around it. This is why looking ahead is always a good idea so try not to be distracted. Whenever you park the rental car, make sure you have some sort of security available. For example, you can use a special device that locks the wheel. This will deter a thief from stealing it because once they see that lock, they will move onto the next car. They know how difficult to is to get the lock off and figure by the time you get back, they’ll get caught since they are still there working on the car. Taking care of your car means you should always leave it the way it was. If you have it for a week or two, it is important that you throw away any food wrappers or items that are lying around in the car. Better yet – why don’t you throw away everything as it comes? For example, if you are eating gum in the car after taking it out of the wrapper, throw the empty wrapper out right away. Or, you can have a small car garbage can. Before you go back to the rental company, clean up the interior of the car. You could easily incur charges if the car was not exactly the way it was. This entry was posted in Brisbane, Gold Coast on May 18, 2013 by admin. If you are planning on taking a little day trip in your rental car for at least an hour or more, it is time to find ways to occupy your kids. Children who are anywhere from 3-12 years old can be a handful on some trips because they are constantly questioning you on when they will get there. This is normal for every child as time goes by slow for them. What you can do is come up with some family games to play, buy some board games, or even get them interested in technology. All of these things will make the time go by quicker for your kids and they won’t be annoying you as much when you are trying to concentrate on the road. Discount car hire in the gold coast will still get you a modern car with all the right features. Using music is a great way to keep your kids calm and allow them to relax in the car. 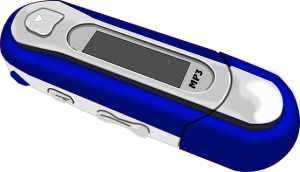 You can either sing along to family songs in the car or if they are too old for that, just pick up a CD player with their favorite CD. If they have an iPhone, they can simply play music from there. Just make sure they have a pair of headphones that are comfortable. Believe it or not, board games are a great way to take away any boredom your kids may have. Although it may be a bumpy ride in the car – they can still manage to play. For example, a game of checkers would be fine or even chinese checkers. You can also have them play Candy Land. There are plenty of games to find so make sure you buy a few before going on your trip. You can find them by going on eBay or going to your nearest retail store. Playing family games are always fun and can bring everyone together. If you are trying to stay away from technology and want to get everyone reacting with one another, try playing family car games. This could be games like “I Spy” or “Sweet and Sour.” There are over fifteen fun games to play in the car so it’s a good idea to find some if you don’t know any. Yes, that’s right! We said eating… Kids love yummy foods so why not bring them their favorite snack? When they are too busy eating, they won’t be asking you when they will get there. If you don’t have enough time to make food, you can always stop by a fast food restaurant and pick something up for them. They might even get a kids meal or just pick up their favorite burger. This will keep them busy for awhile. If you rented a car with a TV in it, then the kids will be happy to know they can watch whatever they like. So they don’t fight about the movie, you can say that you only have one movie available or a better idea would be to play “Rock-Paper-Scissors” game. If your rental car doesn’t have a TV or you don’t plan on getting one, you can always stick to Netflix on the iPhone. Or, they also have mini TV systems you can bring along with you and these are hand portables. This entry was posted in Brisbane, Gold Coast on May 14, 2013 by admin. Imagine renting a car in Australia for the Summer. Driving along a curvy road with the top down and enjoying the fresh air is a wonderful way to begin your traveling vacation. The family also likes the drive-by scenary and they’ve even brought some car games with them to enjoy. If you have not rented yet and plan on taking a bus, well don’t do it! It will delay your traveling time and you won’t be able to fully enjoy your vacation. For car rental Gold Coast airport is well catered for, as are the other main airports. You are actually skipping out on places that you could be visiting instead. Being stuck on a bus with tons of people getting on isn’t a very fun experience and you also will be limited with the number of stops where you can get off at. Instead, enjoy Australia by renting a spectacular car that has everything. We are talking about leather seats, cruise control, and navigation. It’s everything you need for a ride, especially if you are new to the area or if it is your first trip. You want to make things as easy as possible when it comes to your family and you. This entry was posted in Brisbane, Gold Coast on May 10, 2013 by admin. Getting a holiday car for the use of traveling around town is normal for most visitors that come from different countries and want to explore many places in Australia. The only problem is that during the holidays, a flock of international travelers will come and populate the area, making everything seem crowded. You should try to take advantage when it comes to discount air fares. Flying to your destination, picking up the car hire Brisbane or another destination has waiting, and leaving the airport is the quickest and easiest way to get started on your journey in Australia. 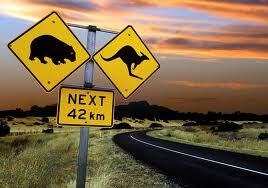 What if you are a traveler who is new to Australia and has not had much experience when it comes to renting a car? No problem, this is what we are here to help you with. You need to know what is the best package for you once a car rental company gives you different options. For example, you may be attracted to the seven day rental that has an extra 3 days included. However, you were already planning on spending the last four days at your aunt’s house in Australia for a big party. Because of this, you might be inclined to take the 5 day package instead since it will save you money. This entry was posted in Brisbane, Gold Coast on May 6, 2013 by admin. Renting a car from a rental company is always an easy process but what about after you rent your car? There are a few things you need to do after you’ve rented the car such as taking good care of the vehicle, not becoming distracted, bringing extra items, stocking up on items to put in the car, driving slowly, and entertaining the family. By being prepared, you will be able to concentrate on getting to your destination instead of worrying about other things. Travelers who do this are usually more experienced but by getting into this habit, you’ll do this all the time when you come to Australia. For example with a Gold Coast airport car hire you want to make sure you are calm and know where to go once you have collected your vehicle. It’s a great way to start your trip! Always keeping your eyes on the road is crucial if you don’t want to get into an accident. If the kids are fighting in the back, they need something to entertain them but we’ll explain that later. Let your spouse or friend deal with the kids. Do not try to glance back at them or even turn all the way around. You never know when there is an oncoming truck coming toward you. Remember that not all drivers are alert on the road so if you think they will see you first – you are wrong. Some are sleepy, some are emotionally disturbed and others might even be intoxicated. This can be scary, considering you have your whole family in the car. Protect them by watching the road at all times. This entry was posted in Brisbane, Gold Coast on May 2, 2013 by admin. There are many benefits of renting a car for your vacation including saving time, money, and even the convenience it brings. If you need a vehicle to get around places quickly, you should contact a car rental company who will show you some fast and comfortable cars. Otherwise, if you are just looking for a large SUV that can take the family to different places, you can always opt for different features such as navigation, safety, and air conditioning. In Australia, it can get very hot and you want your family to stay cool during their trip. This is why it’s important to check out some of the features before you rent. Another benefit of gold coast car rental is that you’ll be able to go wherever you want. You no longer have to hear the taxi driver saying that they can’t take that route or that they won’t be able to wait for you for a long time with the meter off. When you rent your own car, you will be able to save time. For example, you might want to visit a place that is two hours away from your hotel. If you are on a bike, it could take you four hours together or on a bus would be three hours, depending on the amount of stops there are during the trip. With a car rental, you can make a list and even visit up to five different places during the day. If you are a traveler and want to see as much as possible, renting a car is very important since it does save you time. Obviously, a taxi will cost anywhere from $0.50-$2 per mile, depending on what city you are in. It is easy to rack up the meter to $60 just by going to a few places with the family. You have car accidents, busy intersections, long stretches of roads, and so on. Since you don’t want to pay $60 a day just on a taxi to go to all of your destinations, it is better to rent a car. Car rentals can cost anywhere from $25 and up which is extremely cheap. If you rent a small car, it will be inexpensive while larger cars cost more. Remember that this is a factor when choosing a car so pick wisely. Ask for cars with low MPG and you’ll be fine. With a car rental, it will be very convenient for you to get around. Going on a bike takes too long and you may become exhausted. Riding in a car can be very convenient, considering that most of the vehicles have navigation. Using a map isn’t the best thing since it distracts you from the road and with navigation, you’ll be able to get around by hearing voice commands which tell you to turn right/left. Also, being in a vehicle that has soft seats, cup holders, and even airbags will be very convenient in some situations. Make sure you look over all the features before you rent a car. This entry was posted in Brisbane, Gold Coast on April 30, 2013 by admin. Road trips with the family, during school holidays for example, will be cherished memories to keep for life. Make them as happy as possible by avoiding the frustrations of irritable, bored or hungry children and fellow travelers..
Of course the trick to this is simply some planning and thought before hand. Put in some time to plan and prepare and you will have a great time with your family. Some of the main factors to consider are suggested below. Make sure you start with a safe, reliable and comfortable vehicle particularly if you are using Brisbane car hire company or hiring from another location. This entry was posted in Brisbane, Gold Coast on April 23, 2013 by admin. Prior to renting a vehicle from a car hire company, there are a few things you need to know about driving in Australia. Everything is going to be different on the road for you and the rules may be different. You might not know this but all Australians drive on the left side of the road and the stirring wheel can be located on the right side of the vehicle. This might seem strange to you and it will probably take you some time to get used to it. Even the windshield wipers are on the left. The car blinker is on the right side. Make sure you memorize where everything is at before driving. Because of your daily driving habits, you may become confused. Always remind yourself that the car features are different and you’ll get the hang of it quickly. Particularly for car hire Gold Coast hire company websites have good info on such matters. This entry was posted in Brisbane, Gold Coast on April 17, 2013 by admin.